One thing is for sure: we never stop learning. As I slowly move along in the process of getting my second book out, I’ve taken a different approach on what I want to do. From where I stand, I’m seeing some pretty awesome things happening in terms of The Book of Isabel. Since I cannot release too much information, it’s both very exciting and also very frustrating. 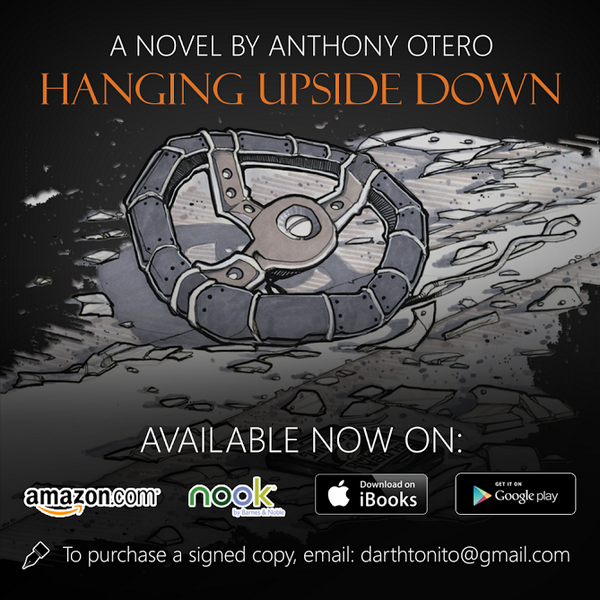 One improvement I wanted to make from Hanging Upside Down was how I handled the cover. I remember having a vision of what I wanted and I had a very talented artist, Ooge, draw up some sketches. As amazing as they were, to implement any of these onto a book cover would’ve given my readers a false impression that this was a graphic novel. Which means, there could have been a real possibility that kids could’ve tried to buy the book and find no pictures in it. 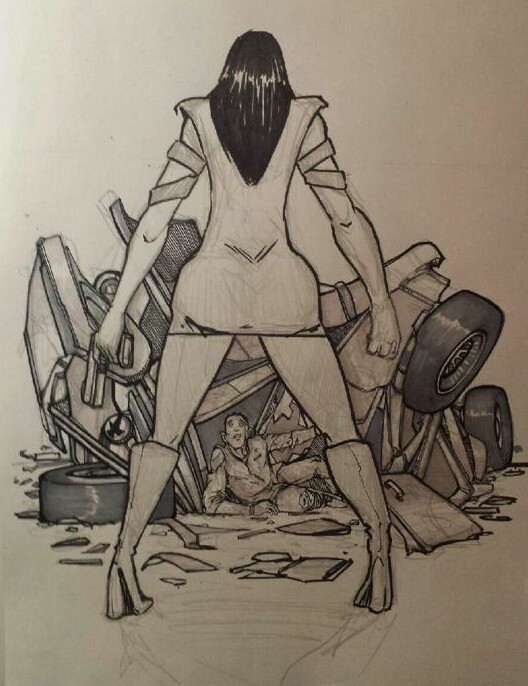 This does not rule out the possibility of me actually writing a graphic novel. So instead, I picked the final image and ran with it in terms of adverting. If you read the book then you will know that steering wheel concept plays well in the book on so many levels. However, this still left me with a problem of no cover design. So, with my small budget, I had to figure out if I really wanted to spend money on a graphic designer or if I should go bare bones cheap and do it myself. Since I publish all my books with createspace, the decision to DIY the cover was a no brainer. I figured that since I was spending so much energy on editing and re-writes, the cover was something that I just didn’t want to spend too much time on. Alas, I came up with something relatively clean and basic that I can say I’m happy with. It had the colors that I wanted and it sticks out. Once the back of the book had the proper information, I was pretty much good to go. The feedback on it was great. People liked it and that is all that mattered. However, this time around I knew that I need to do something different. I just had this feeling that if I really want The Book of Isabel to be taken seriously I needed to get a concept and design that is going to work for me. I was 3/4 of the way down with the first draft when I started doing my research. I knew I wanted the book to look and feel a particular way. I also knew that if I was going to really DIY it again, I needed to up my game. I don’t have the Adobe Suite that includes Photoshop and InDesign so I have to find other way to crop and design pictures. I used a web based program called pixlr for my low level needs. In the effort to explore and play around, I wanted to see if I can make Marble image for the background of my book. I looked up how to do this on YouTube only to find out that I can’t do it on pixlr. 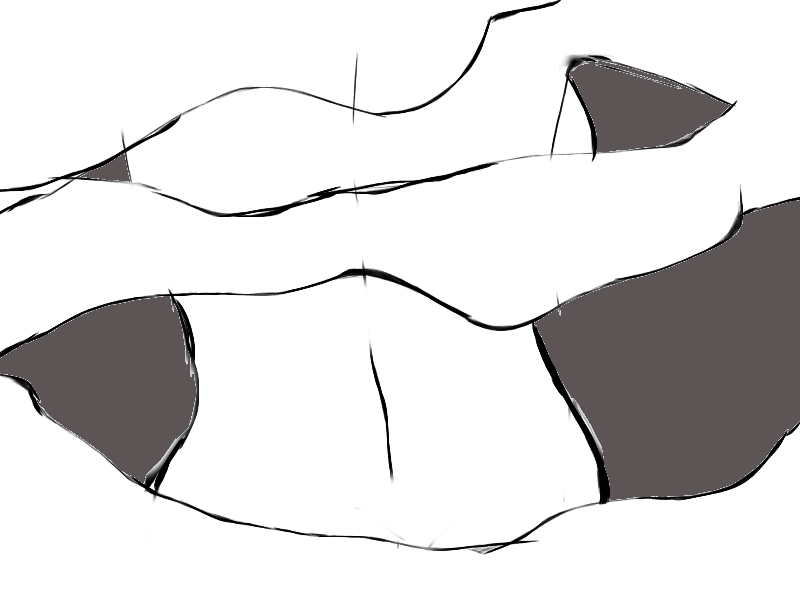 Things get a little interesting when I just start using the drawing tool. 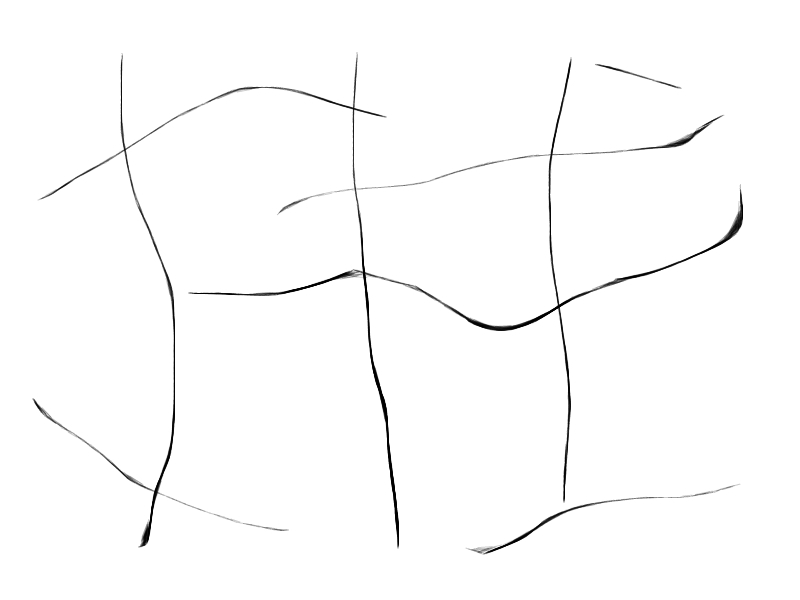 A few lines here and there and I had an image. At first, I didn’t know what I was doing. I was almost sure I can never do it again. But lo and behold, I had something. 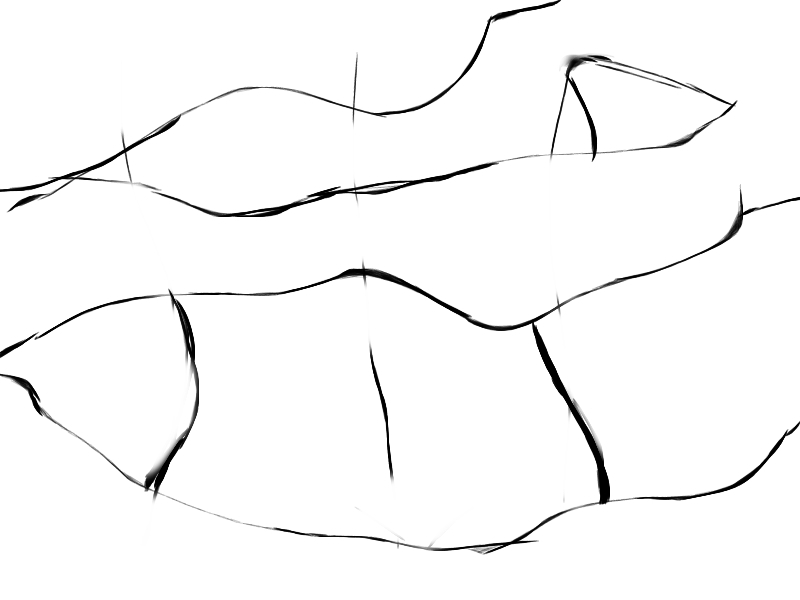 A bunch of wavy lines formed into a woman. This image had been the only thing I worked on for weeks before I finished writing the first draft. I impressed myself by using different skin tones and actual hair color that I lifted from photos of my girlfriend. What makes this satisfying for me is the fact that I used much of my creative juices to come up with something tangible that I ended up giving to a graphic designer as my inspiration for the cover. The reality of book design is that it is more than just an image and you know what? I’m a writer and I should leave designs to those who know what they are doing even if it will cost me some money. The final image at the top was touched up by another brilliant young artist (and Syracuse University Alum), @misajc. This is where I have to end this cover story. I feel blessed to know many talented people from my Alma Mater that continually help me with this process. The cover is 90% done. We’re on hold until the editing process is almost complete. There are some wording issues I have to solve for the back of book before we can continue. The cover looks nothing like this but it is closely related. Once I’m ready to put it out there it will be fabulous. Unfortunately you will have to wait until 2016. Previous Previous post: Dominican Drake Is Funny? I Have Questions.